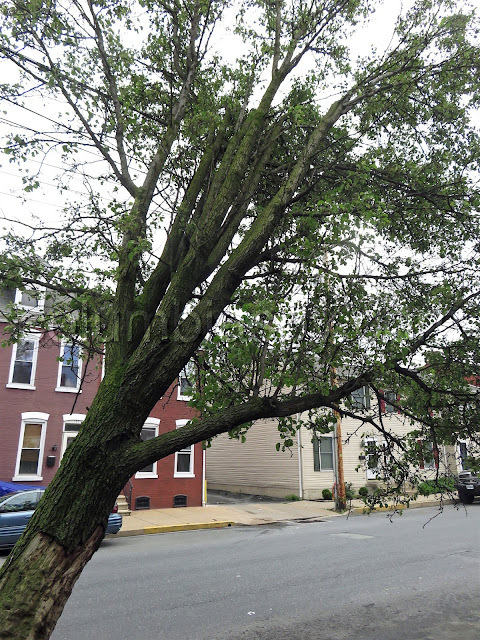 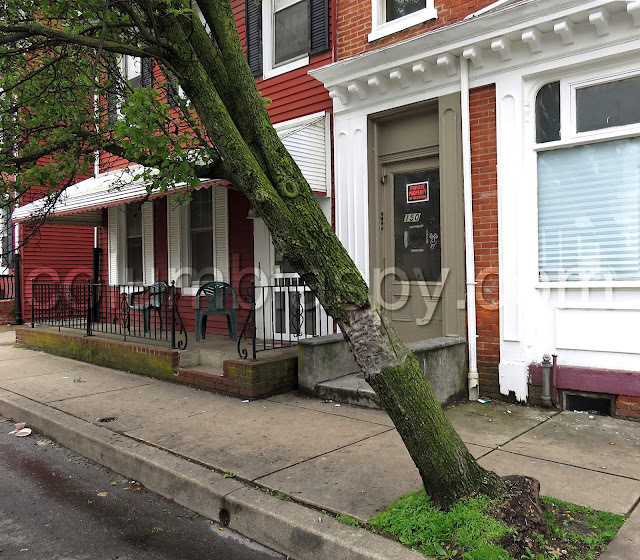 As Columbia Spy reported several weeks ago HERE (near the bottom of the page), a Bradford Pear tree in front of 150 South Fourth Street is falling over and is restrained only by utility wires over the sidewalk. 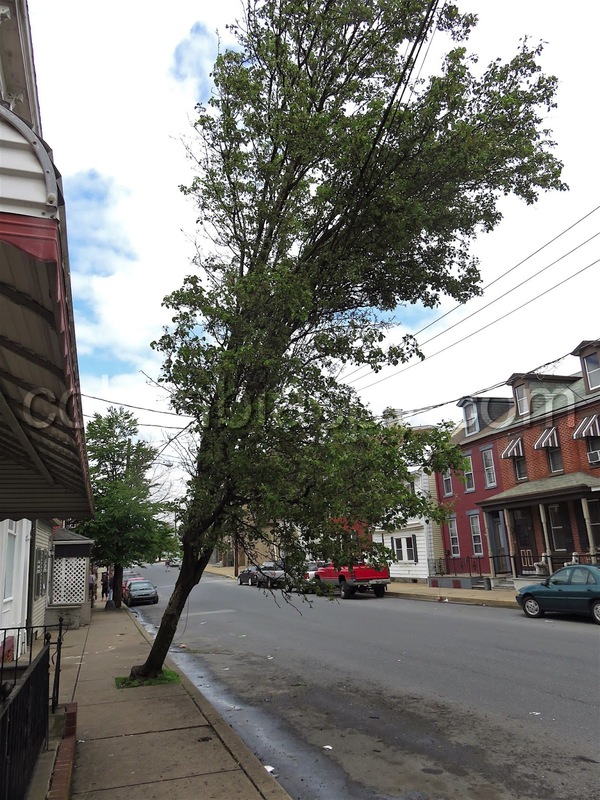 Recent heavy rains and winds during the past week have contributed to the tree's demise, and the tree is now leaning even further and has become a public safety concern. 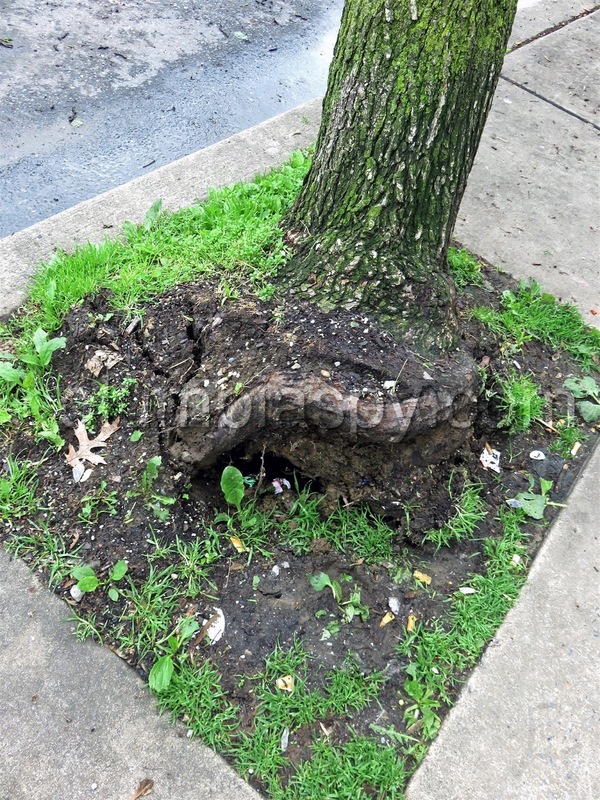 The base of the tree has lifted out of the root basin due to the high, weak root system of the Bradford Pear tree and the borough's undersized root basins.